The good thing about the fact that life is filled with many obstacles, is that it is also filled with just as many solutions. It’s like the saying goes: “where there’s a will, there’s a way”. I find that believing in this type of mantra has helped me to develop one of my most important jobs in life. That is to assure my friends and family that there is always a way to over come any issues they may have. In my last blog entry, I mentioned Photodynamic Therapy – also known as PDT – as a possible solution to my friend, Eddie’s razor bump problem. To be honest, I’m not sure if this is exactly what he needs – consulting a dermatologist, of course, is the smartest choice – but from what I hear, PDT is a great treatment for those who wish to shed a few other skin problems. 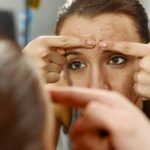 In addition to acne – which is what razor bumps most closely resemble – brown spots, skin cancer and sun damage are some of the most common concerns for those who have issues with their skin. Thankfully, Photodynamic Therapy is a relatively quick procedure that helps to resolve these problems. Like many treatments provided by skin care clinics, PDT helps to unveil newer and healthier skin for its patients. It works firstly by applying a photosensitizing medication to the problem skin area. Once this is done, the patient is actually free to leave the clinic for a couple of hours to let the medication incubate. This is one of the greatest aspects of skin treatments that are offered by professional clinics. When most people think of the words “procedure”, “surgery” or “treatment”, they often conjure up ideas of a long, drawn-out and perhaps scary process that involves a lot of time and eventual discomfort. However, with skin care treatments, this is generally not the case. Upon returning to the office for Photodynamic Therapy, the treated skin area will be activated by a light that produces a reaction that helps to remove the unwanted skin cells. 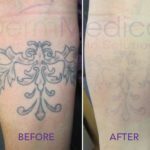 The procedure can take anywhere from 5 to 30 minutes, and is probably best suited for those who think that the only way to do away with what they feel are unsightly blemishes is to go under the knife! Naturally, patients should take extra care of their treated skin areas over the next week or so making sure to keep it moisturized and avoid getting too much sun. As well, for PDT, another session or two may be required depending on the severity of the condition. Once all procedures are complete, younger, smoother looking skin is the inevitable result. I hope this helps to relieve some reservations people may have about finding the solutions that best suit their respective situations with their skin. As always, it’s important to consult a professional before making the choice that is right for you. But I’m more than happy to be your PHT – Provider of Helpful Tips!